So today, I arrived home from a 4 day journey. Pennsylvania to California. Day three into the trip I noticed that when I would put the vehicle in reverse, it would have a slight humming noise. At lower speeds (taking off from a light or slowing down for one) I would periodically hear a noticeably loud squealing noise (on and off). As I reached closer to home, things got worse. 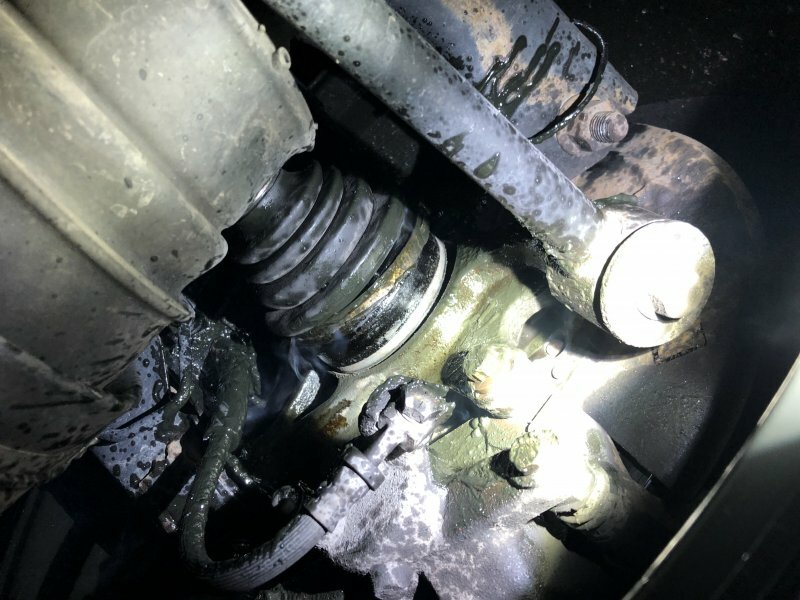 The back of the vehicle felt as if it wanted to slide out and there was a loud thumping noise coming from the left rear wheel. I pulled in to the nearest gas station to see if I could get an idea of what it could be. I noticed metal shavings in and around the inner left rear wheel. The loud squealing became even worse. With about 30 minutes left in the trip, the left rear wheel began to smoke and the following lit up on the dashboard: HDC FAILED, DRIVER STABILTY FAILED & ABS FAULT. Smoke started coming from the wheel. When I finally reached home, I could smell fluid or grease. I took pics of the tradgey. Grease from the axle is all over the inner wheel and the boot is destroyed. Very ugly site. Definitely need to replace wheel hub assembly and left rear axle. What else am l going to have to prepare for with a job like this? Please help. Sounds like wheel bearing/outer CV failure - so you will need a new wheel bearing (so new hub as they are one unit - get a Timkin) - you could replace just that CV but better replacing the entire shaft. Not a huge job but highlights action is needed when issues first arise. Much appreciated. There are no indies out here so I’m tackling this with the solo. Closest one is in LA, 3 hrs away. I also notice that I had a e-brake failure and terrain response was also lost. I bet I’ll have to head out to either LA or a dealership to reset codes. Hopefully that works. The drum assembly also had a few parts destroyed in the maylay. I’ll start putting orders in to Atlantic British. Definitely getting a shop manual for this job. 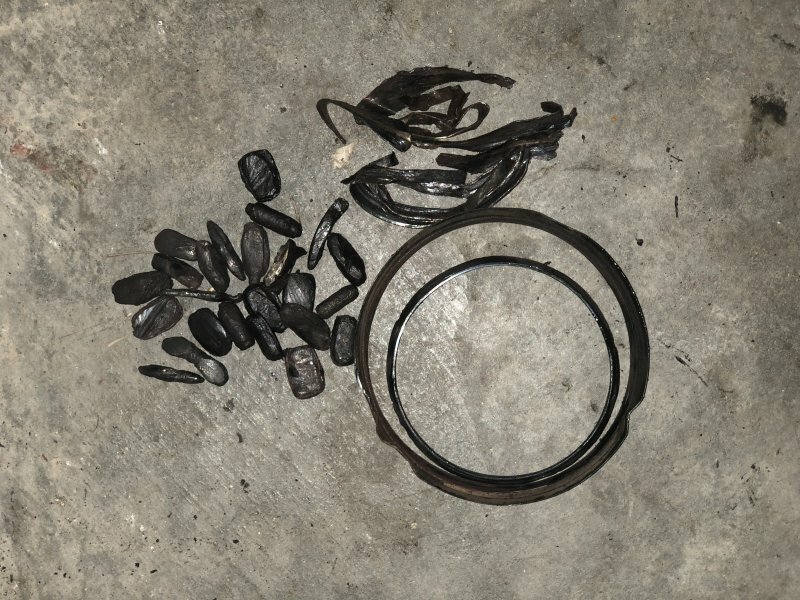 Here are some pics of what use to be the bearings and the destroyed axle shaft. That is definitely a blown CV - the wheel bearing is probably OK. Just get a new shaft complete and get your local independent to replace - is not a big job. 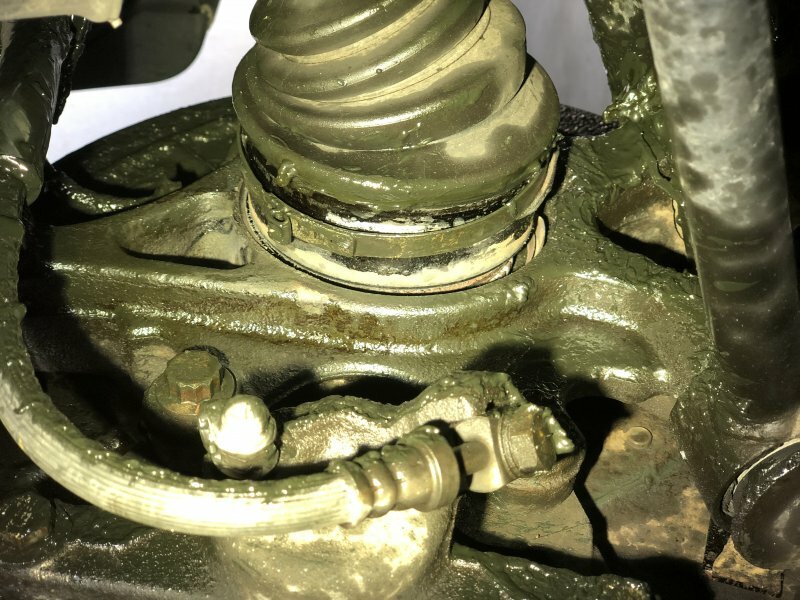 Can pinion seal and axle shaft seal be done at home?